Amateur sleuth Samantha Kidd's life is finally on track. It's her normally cultured friend Cat whose life has lost its luster: eight months pregnant and abandoned by her husband the week before Christmas. She ropes Samantha into helping at her boutique, but a string of jewelry thefts threatens her business. And when Cat's husband is found strangled with pearls inside the shop, the last thing she's concerned with is profit. Samantha tries to get a bead on the killer, but when the suspects all clam up, she's left tangled in knots. Add in an unexpected proposal, a flirtatious friend, and a brand new detective, and this is bound to be Samantha's wildest adventure yet. Perfect for the beach, the bath, or the line outside of the fitting room. 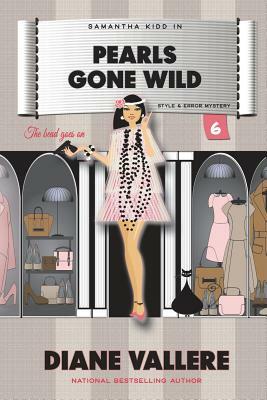 National Bestselling Author brings you fashion, mystery, and humor in one stylish package.